In a speech at an Abuse of Process rally on Saturday, January 26, Lim Tean said, “Ladies and gentlemen, Leong Sze Hian is our Rosa Parks.” He said this in reference to the blogger’s lawsuit against Prime Minister Lee Hsien Loong. Rosa Parks was an African-American woman who was called “the mother of the freedom movement” and “the first lady of civil rights” by the US Congress. Parks first came into the public eye in the United States in 1955 when she refused to give up her seat in the colored section of the bus to a white man, despite being commanded to do so by the bus driver, when the white section was fully occupied. Parks was arrested for civil disobedience, and later became an important figure in the fight against segregation in the US. Her fight for racial equality later won her a Nobel Peace Prize. Leong Sze Hian is a well-known Singaporean writer and blogger who is now facing a lawsuit from the Prime Minister for sharing a reportedly defamatory article from The Coverage, a Malaysian news site, on November 8, 2018. 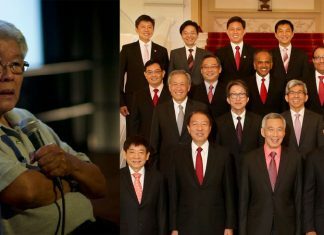 Lim alleges that the Prime Minister abused the process of the court when he filed charges against Leong. Two days after Leong shared the article, he said that he was told by Singapore’s IMDA (Infocomm Media Development Authority) to take down his post with the article within 6 hours, to which he complied. But on November 12, he received a Letter of Demand from Davinder Singh of Drew and Napier LLC, alleging that Leong had defamed PM Lee and demanding a public apology as well as compensation for damages. At the rally, Lim, who is representing Leong in his case against the Prime Minister, explained why he compared the blogger with Rosa Parks. “What (Leong) is doing today in Singapore is what no one has ever done before, and it is to stand up to a powerful figure and tell that person enough is enough. I’m not going to be railroaded, I am going to stand my ground, I am going to defend myself. 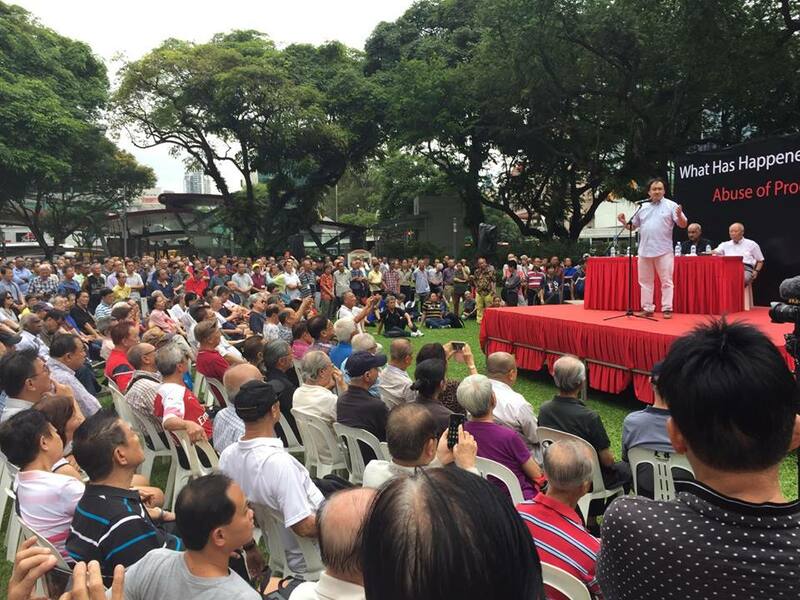 In a Facebook post on Sunday morning, the day after the rally, Lim called the assembly a great success and said that others have encouraged him to hold more rallies in order to bring significant issues to public attention. “Thank you for making the rally a great success. It was heartening to see so many of you turn up. It shows that Singaporeans will no longer blindly obey the dictates of the PAP government and that they demand greater accountability and a greater say in the issues which affect their lives and their family.